"We had A humble BEGINNinG, starting out in a disused bathroom with two machines and a workbench". We are No One Famous. 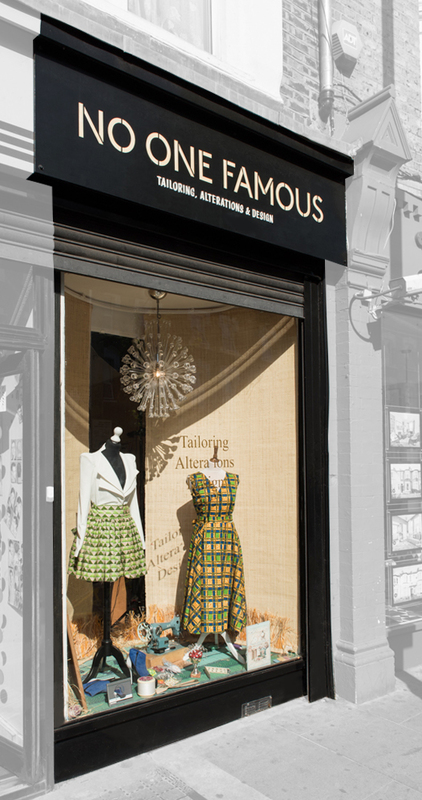 An East London tailors serving our local community. 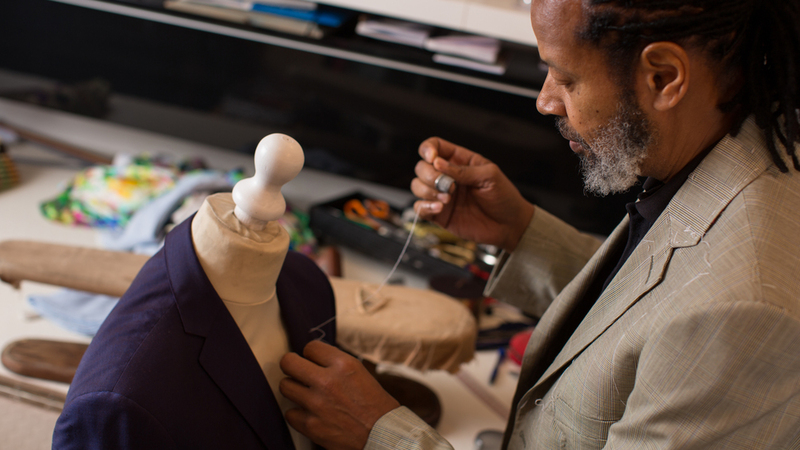 We have a combined experience of over 30 years providing clothing repairs, design and alterations. Based In Leyton, we see a diverse range of customers from alterations to the Olympic teams outfits to repairing the king of Swedens trousers. We will work closely with you to ensure you have the perfect fit every time, whether you need us for alterations, bespoke tailoring or to create something for your wedding day. Tailoring, alterations and design all carried out in house by our skilled team, we are your one stop shop for all your tailoring needs. For alterations of men’s and woman’s suits to wedding dresses and proms or even shortening trousers and jeans. Ever wondered how celebs seem to look good in everything? Thats because they get everything tailored. From shirts and jeans to jackets and ball gowns. Click on the button below for more details on the services we offer and how we can help you. "We want you to leave with a smile every time. Thats why all our work is backed by a 100% satisfaction guarantee. Which means if your not 100% happy simply return your garment and we will make any changes for free." We are based in Leyton East London, we are a short 5 minute walk from Leyton Tube station. We are also accessible from Leyton Midland Road and Leyton High Road Overground stations and bus routes 58, 69, 97, 158, W14 and W15. Click on the button below for contact details, opening times and a larger map. "However you get here, we look forward to meeting you soon".